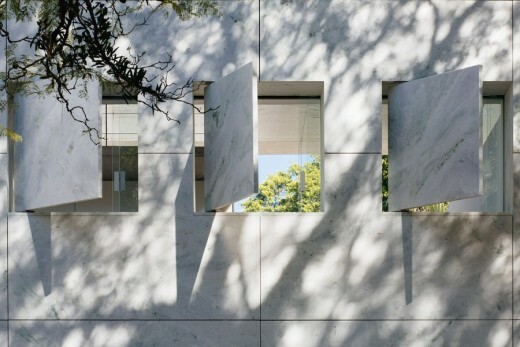 Behind the Jacaranda creepers and the ten meters palm trunks, appears a block of white marble in the middle of a mineral garden. 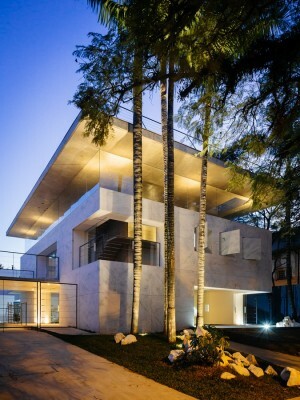 Triptyque wanted to emphasize the stiffest materials such as marble and concrete to challenge them with the gravity. 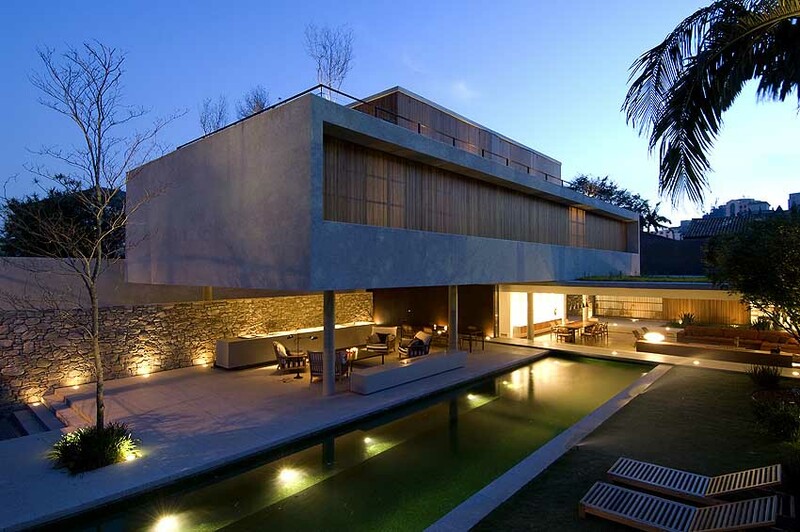 Groenlândia links together stone and glass, rigidity and transparency, durability and lightness. 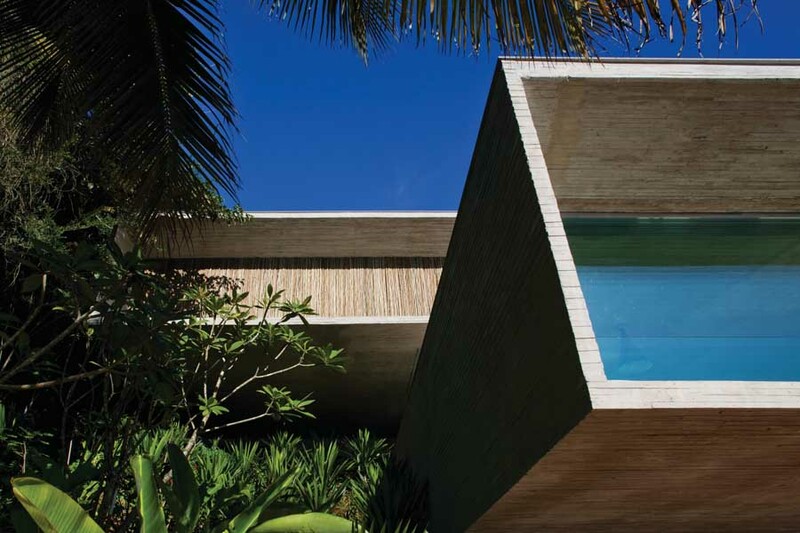 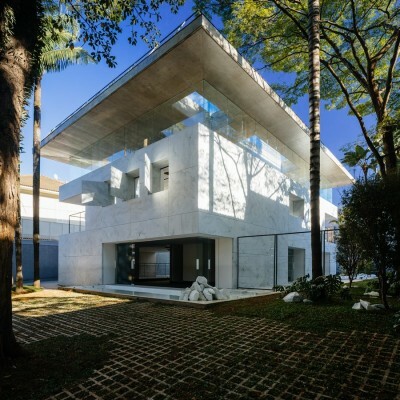 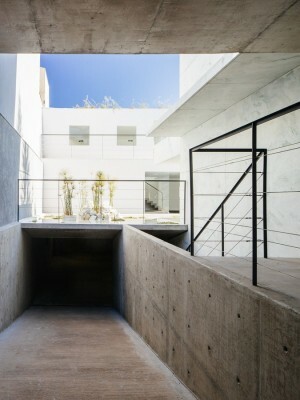 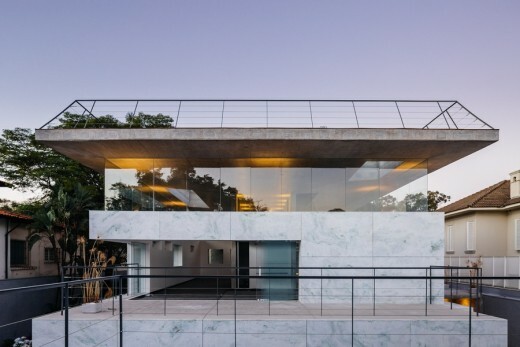 The deck, a large slab of concrete floats from over 9m, above a block of white marble suspended for two masterful concrete pillars in the center of the block. 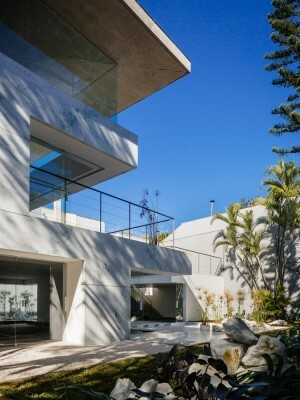 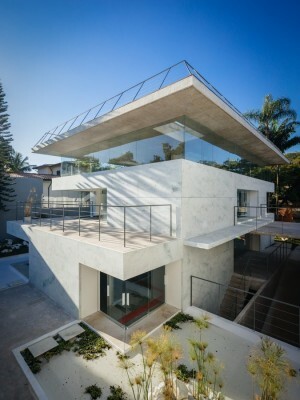 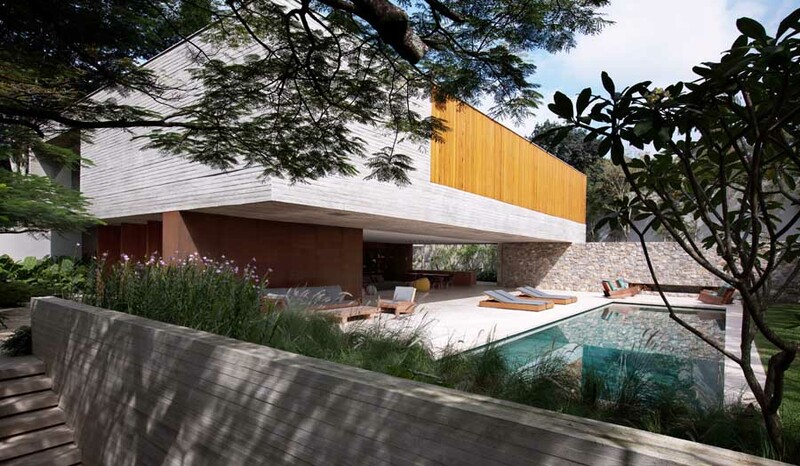 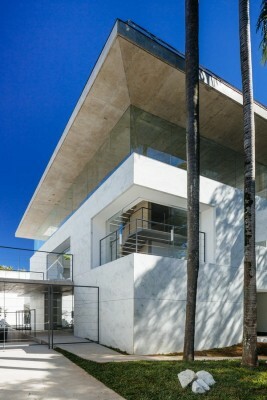 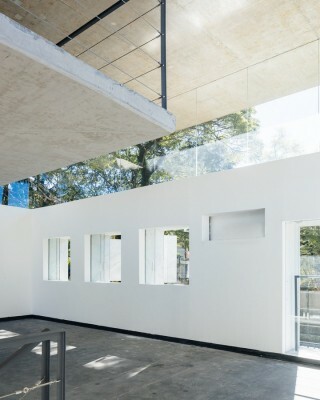 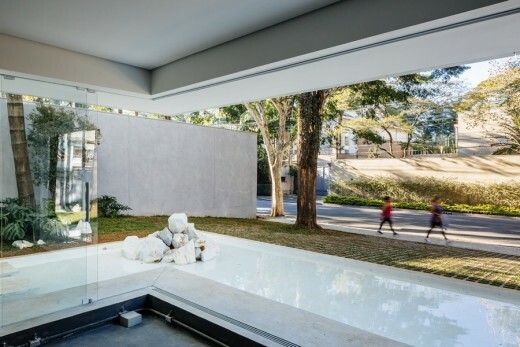 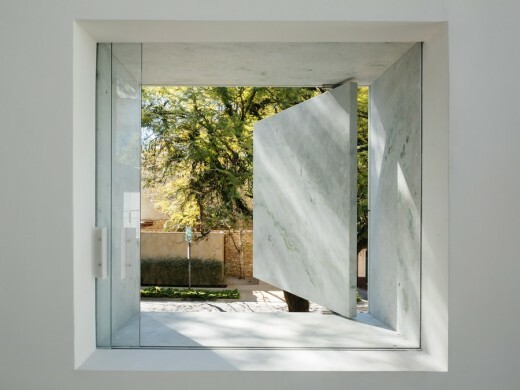 Large transparent windows support the deck creating an invisible link with the marble. 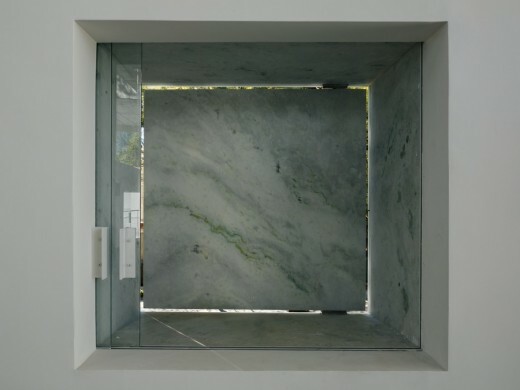 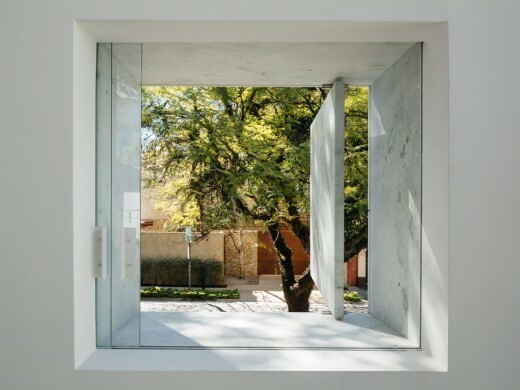 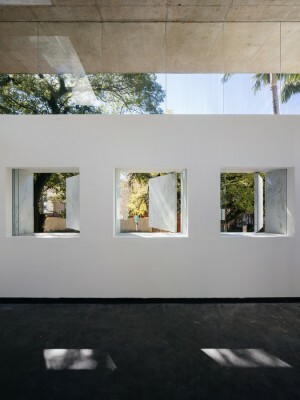 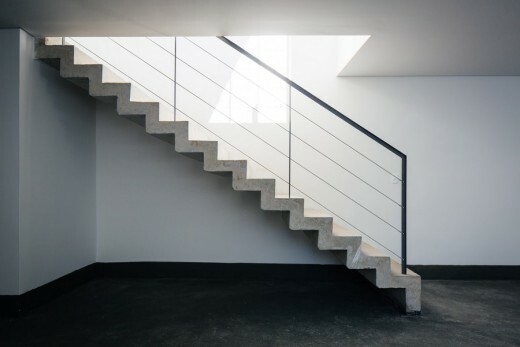 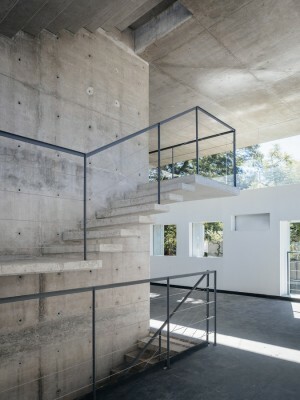 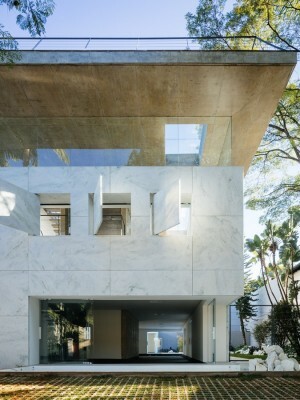 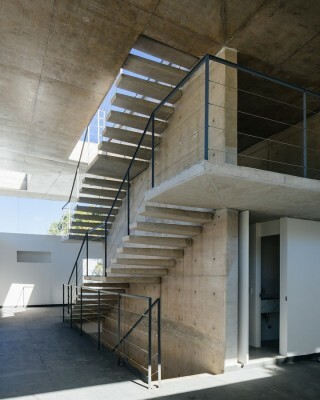 The block of stone is pierced by open windows in marble, creating a paradox between the function and the matter. 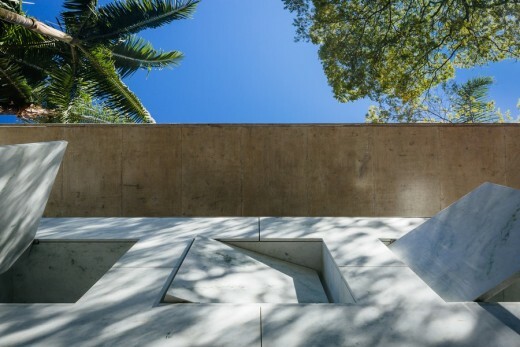 The corners of the stone block are based on aquatic beds sprinkled of Papyrus. 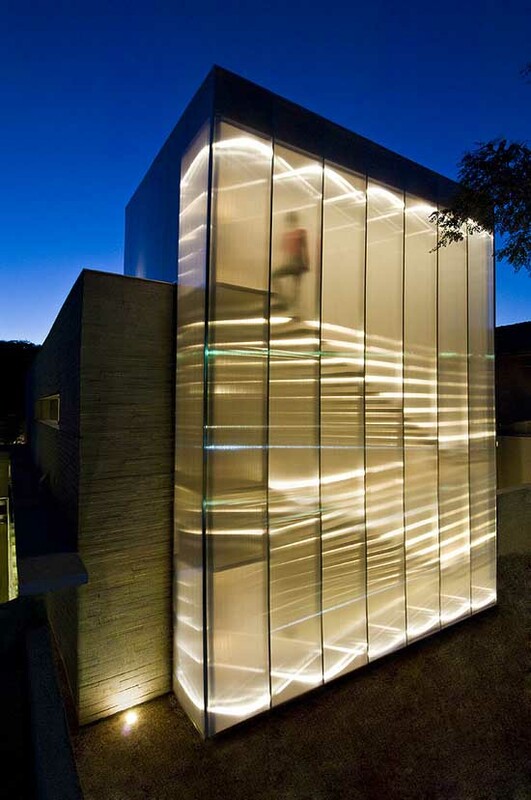 Inside, floating stairs lead visitors to the terrace for a wonderful view. 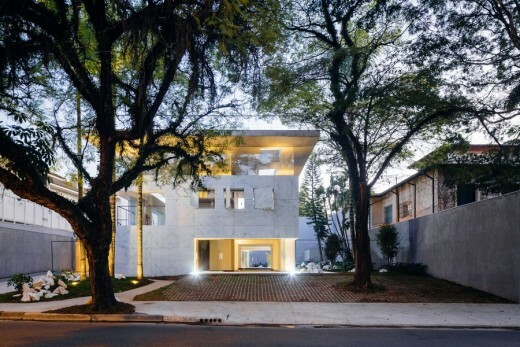 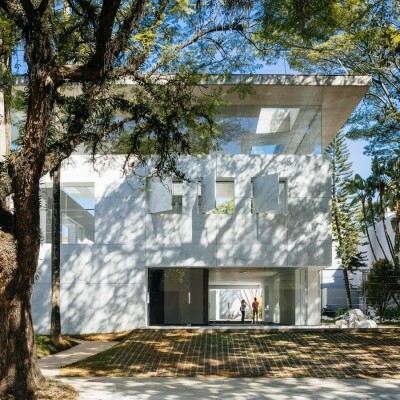 Despite the closed aspect of this upscale neighborhood of São Paulo, the building, without fence, is in direct contact with the street. 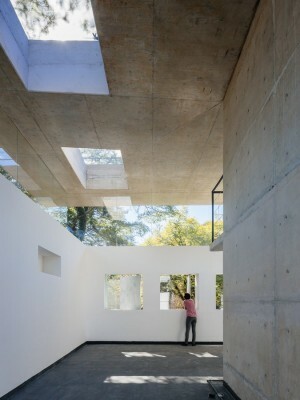 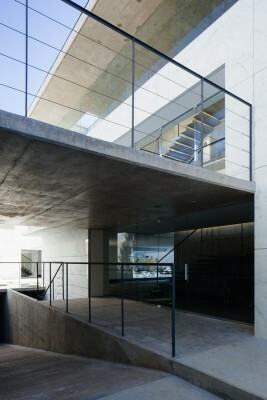 Once again the Triptyque architects put in contact the private space (the architecture) and the public place (the city). 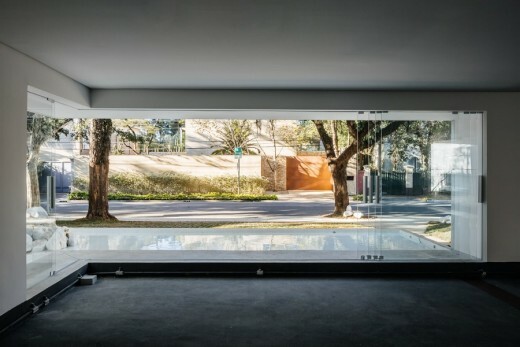 Team:, Murillo Fantinati, Luísa Vicentini, Priscila Mansur, Priscila Fialho, Natallia Shimora, Gabriele Falconi, Nely Silveira, Alfredo Luvison, Danilo Bassani, Thiago Bicas.